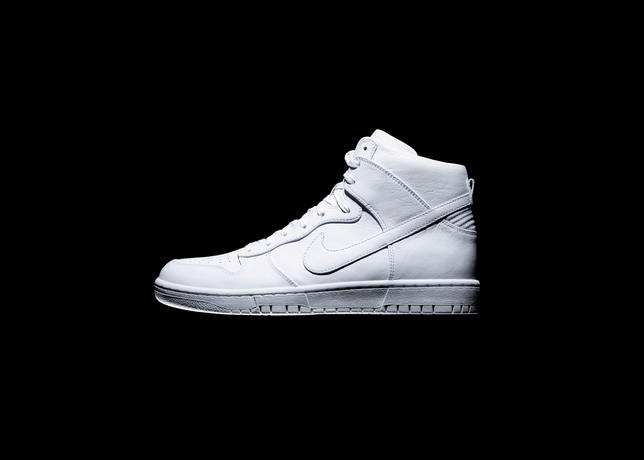 In its 30-year history, the Nike Dunk has been a steady source of inspiration and reinterpretation. What started as a performance basketball shoe in 1985 has since been adopted by the worlds of skateboarding, music, art and everyday style. Beginning in February, NikeLab will put its own spin on the Nike Dunk when it launches the NikeLab Dunk Lux High. 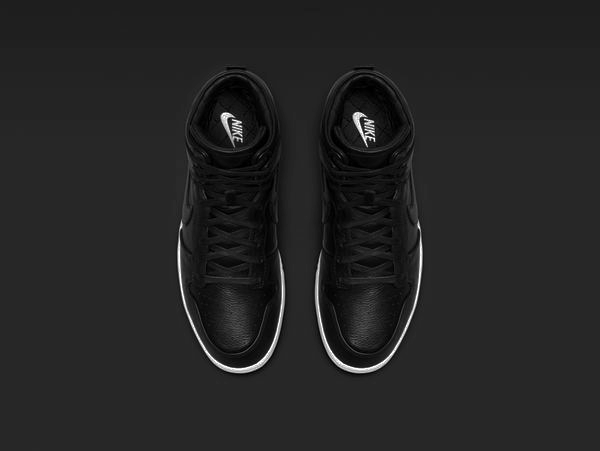 Featuring a new, sleek silhouette, the NikeLab Dunk Lux High blends Nike technology and craftsmanship with luxurious materials to help usher in the next generation of the Dunk. To give the NikeLab Dunk Lux High a more contemporary shape, Nike designers used a sleeker last than typically employed with the Dunk. 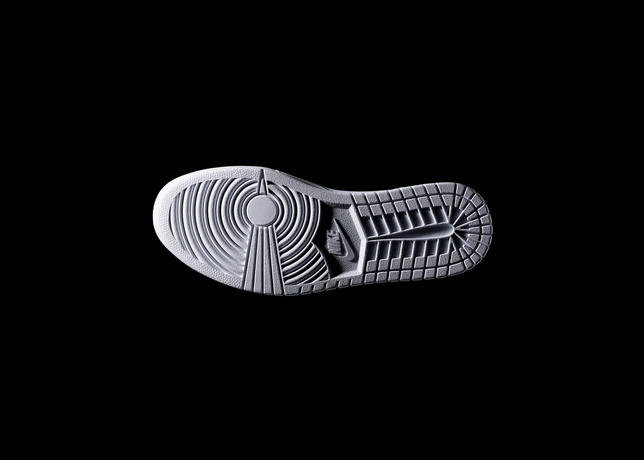 Shaped like a foot's outline, the last is the inanimate form that designers build the shoe around. With the sleeker last, Nike designers reduced bulk in the toe-box and removed excess foam from the heel. 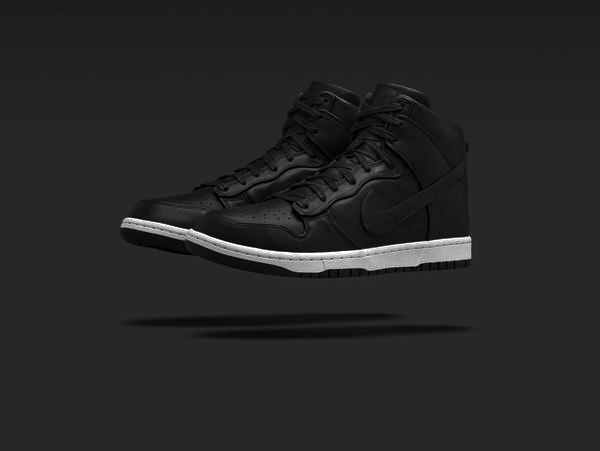 The slimmer overall profile gives the Dunk a fresh look in its anniversary year. 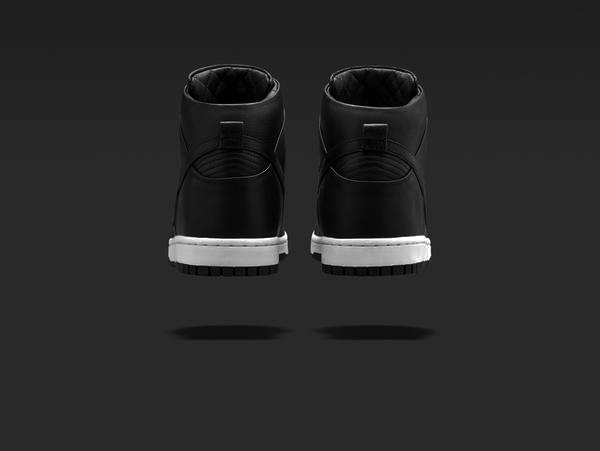 The NikeLab Dunk Lux High is the byproduct of a performance approach to lifestyle design. Knowing that the shoe could be worn for everyday activities, often lasting from sunup to sundown, Nike designers included a drop-in Lunarlon insole for added comfort. Used in performance footwear spanning running to golf, Lunarlon technology provides ultra-soft, lightweight and responsive cushioning. The shoe also features a full-grain leather upper for comfort, durability and a premium feel. Memory foam in the collar and tongue helps provide a secure and comfortable fit and the quilt-stitch construction in these areas adds to the aesthetic.